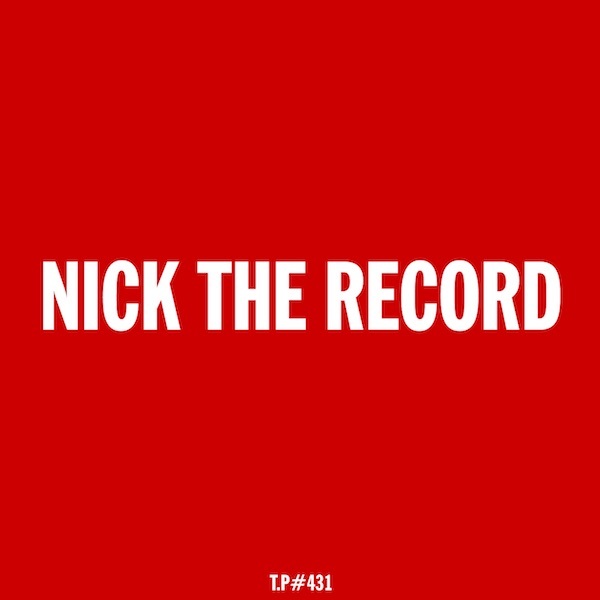 Pictures, text, and outstanding music by Nick The Record. Oppa-La is a wonderful and unique venue in Enoshima, about an hour from Tokyo. It`s a curry house by day and a live music venue many evenings and most Sundays as well as being a DJ bar at weekends. 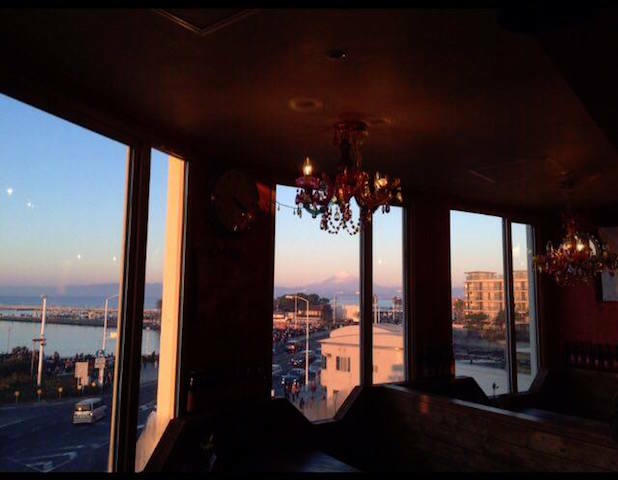 Enoshima is on the coast and part of the magic of the venue is that it overlooks the beach and the whole of the left side of the building is made up of windows, so of course when the sun comes up there is a great view. 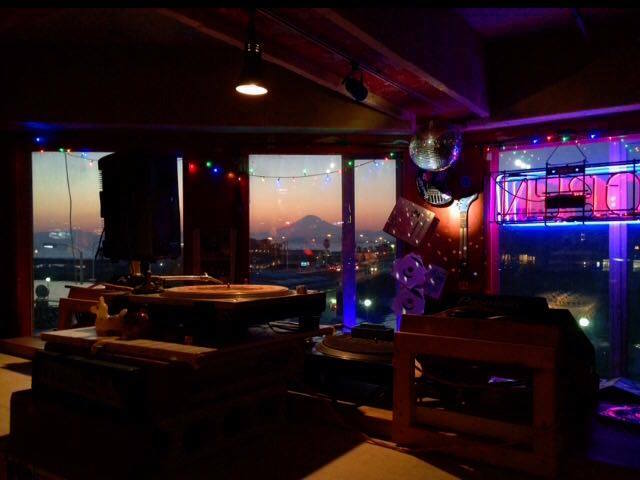 It`s a relatively small venue that only holds 120 people so although it’s not the best paid gig many overseas DJs make a point of including it on their tour of Japan because it is such a fun place to play. Harvey, The Idjut Boys and Prince Thomas, Daniele Baldelli, Rub N Tug,Terence Parker, DJ Spinna have played there and more than once. 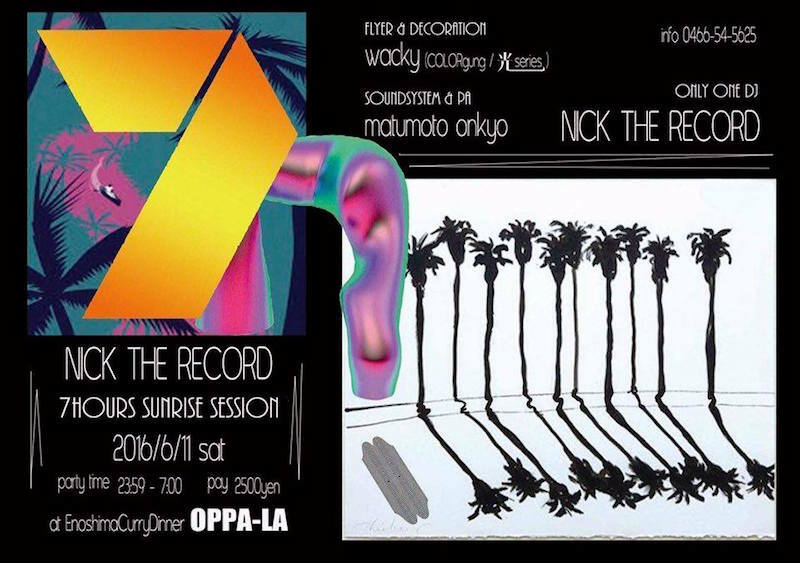 The party, in June 2016, was simply billed as “Nick The Record 7 Hours Sunrise Session”. Starting at midnight and going until well past 7AM. 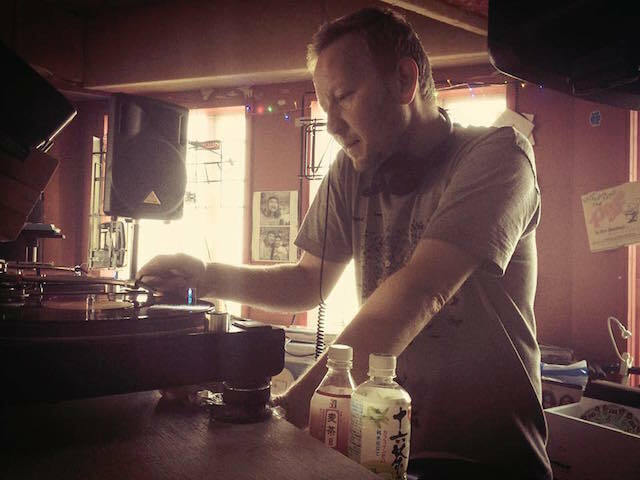 The crowd is predominantly made up of people from Tokyo, most of which come on the train, the last of which arrives around 12.30 so you kind of have a captive audience which allows the DJ to make it a bit of a journey & take a few risks. This mix is the last hour and a bit of a night when the crowd has thinned a little and I’m well past the stage of the night where I’ll try any extravagant mixing and I’m not even sure how much longer I’ll actually carry on. But of course it’s the perfect time to slow it down a little and play some “Special” records as a treat for those who have stayed the course. They also do occasional afternoon Sunday Sunset parties and when checking out photos to accompany this piece I noticed the sun actually sets over the beach so I think you’ll catch me there next summer for a Sunset session instead of my usual all nighter.